This is gonna be one of this year's biggest movies. Though I am a big fan of marvel, I was a bit sceptical of watching this movie because the heroes in the movie aren't what we are used to , based on my view of the poster. I haven't read the comics before so this was my first introduction to the story line. 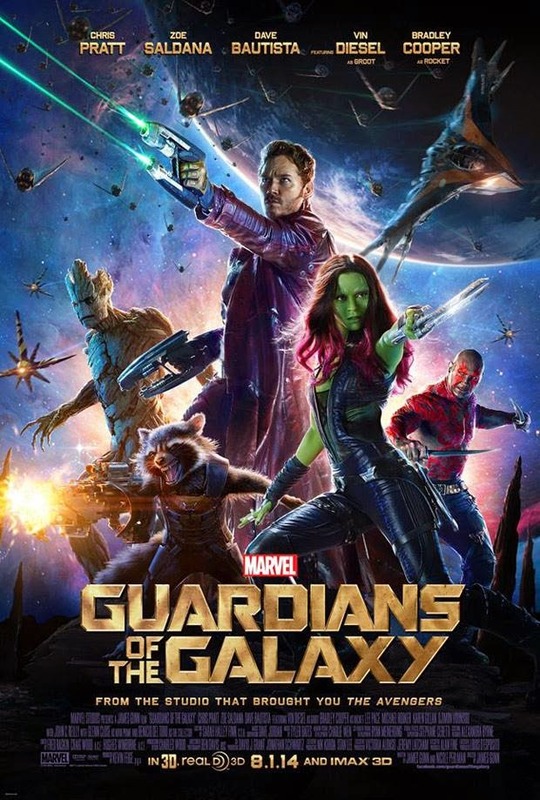 It stars Chris Patt as peter quill,the leader of the guardians who was abducted from earth at a young age. Zoe Saldana as Gamora, an orphan from an alien world who was trained as an assassin.Her look here reminds me a bit of her character in Avatar. Bradley Cooper as Rocket,a genetically engineered raccoon who's a bounty hunter hired to capture peter for a ransom. He steals the show with his humour and crazy antics. Vin diesel as Groot, a tree-like being who is Rockets muscle and partner in crime. He is like the Hodor of the show as the only words he says are "I am groot". Dave Batista as Drax,a warrior in search of vengeance against Ronan for killing his family. From the start our heroes are an unlikely group as they have to get through their personal differences in order to save the galaxy by making sure Ronan doesn't get a hold of sphere artifact (orb) that is the greatest weapon on the galaxy. Overall it is filled with comedy and even more action.I would recommend to almost everyone i know. Anddddddddd follow,view and stalk on: twitter and instagram .